EveryMatrix Launches New Esports Betting Service! 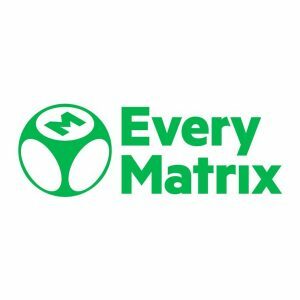 In recent news, EveryMatrix (EM) announces plans to enhance their OddsMatrix sportsbook by adding an Esports betting service! This is a huge step forward for EM and certainly a game changer for the rest of the industry. Not to mention, OddsMatrix is already an award-winning sports-betting software solution that offers an open range of sporting events. Plus, it supports multiple betting types, has powerful admin tools, and their profit margins are unrivalled with! So by all means, this new addition of Esports betting by EM is a monumental move. According to EM, the Esports betting service provides real-time coverage of at least 50 major matches. Plus, it’ll cover more than 1,200 pre-matches. In addition to that, players will now be able to place over 60 different types of bets on any Esport event across the maps! So as of now, you can wager on CS:GO, Fortnite, Call of Duty, DOTA 2, StarCraft, and much more! With that said, EM is also offering operators who sign up to the service the benefit of a fully automated trading system at their control. Meaning, they’ll have the full ability to tweak odds or customise profit margins as they like. He then went on to explain how this new service is part of both OddsMatrix Feeds and the latest instalments of their sportsbook. Then, he added, “With OddsMatrix, the ability to easily add new betting markets and sports has now increased. Also, this new launch shows our plans to expand into Esports betting.” So there you have it, the future of sports betting on your favourite Esports player, team, or league has arrived.